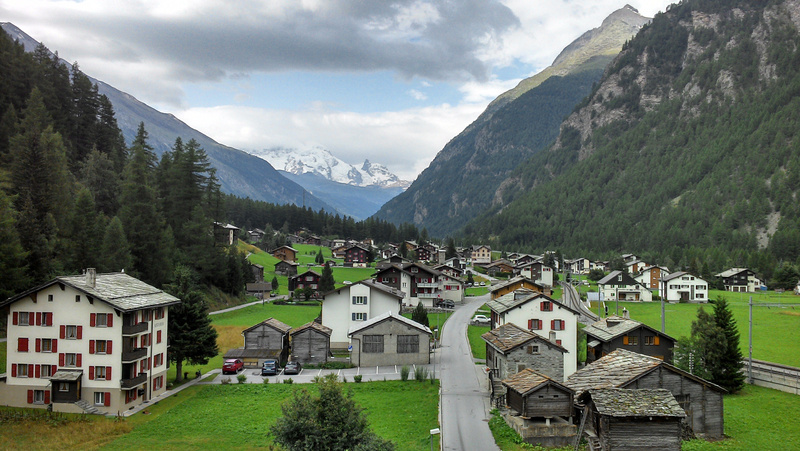 Currently a KDE Sprint is taking place – which means 43 people meet in Randa (Switzerland) and dedicate 7 days in a row solely to KDE. Some topics are KDE Frameworks 5, gluon and many multimedia related topics like Amarok, kdenlive and KMix. I am attending to work on three main matters. This mainly concentrates on generating a better user experience. It is not about adding new features, but about perfecting what we have. High-DPI support was contributed by Kai Uwe Broulik. Icons now follow your icon size settings in the KDE Control Center. If you own a High-DPI display and have not yet adjusted the icon sizes, you should do that. Setting most icon sizes to 32 pixels (and desktop: 48 pixels) did the trick for me (Systemsettings -> Symbols ->Extended). Jonathan Marten contributed an enhancement to the “Select Master Channel” dialog. It exchanges the radio buttons to list view, which is also the recommended way in the KDE HIG). There are various polishing actions that you can follow on KMix’s QuickGit. Most noteworthy is a fix for the configuration dialog that some time ago became ridiculously wide. The cause was very interesting: A very wide warning text about a missing “kmix_autostart.desktop” file. Even though the text is usually hidden, it had an effect on the width of the dialog. Reviewboard, the bug system and personal mails are the most important sources for open topics. My real life always wants me to do other things, so I am working on the accumulated backlog. Obviously it will not be possible to clean the complete bug system from KMix issues and wishes, but I will tackle a couple. Interesting too many people, there might be a new approach on the login delay problem. While there is still no real solution in KDE 4 in sight, I will try a workaround. By artificially delaying the application initialization, KMixD will hopefully appear later on DBus which may solve some deadlock situations. The release of KDE Frameworks 5 is a major change. Porting KMix has not yet been started, and before doing so it deserves discussion what role KMix should play within. Multimedia people will gather in BoF style to discuss future needs. The discussion can lead in various directions, like strengthening the background service (KMixD), moving to a default interface that is more plasma-like or separating the components more (tray icon, tray pop-up, main window, KMixD). I am sure other participants will have further ideas. I will keep you updated about this topic in this blog. KMix has a long history of having a remote interface. But whether it was based on DCOP or DBUS, it has always been an expert tool. For some common tasks like muting the master or setting a volume, the hurdles have been too high for many users and script developers. Starting with the next release KMix ships a small script kmixremote, that makes things very easy: You can mute, get and set volume levels, and list soundcards and controls. This bash script can also serve as a starting point for developers interested in creating scripts or 3rd party apps. This was a two hour excursion back into bash scripting for me. I found it entertaining as I am not doing a lot of those anymore. I hope you find the result useful. SoundMenu additons. 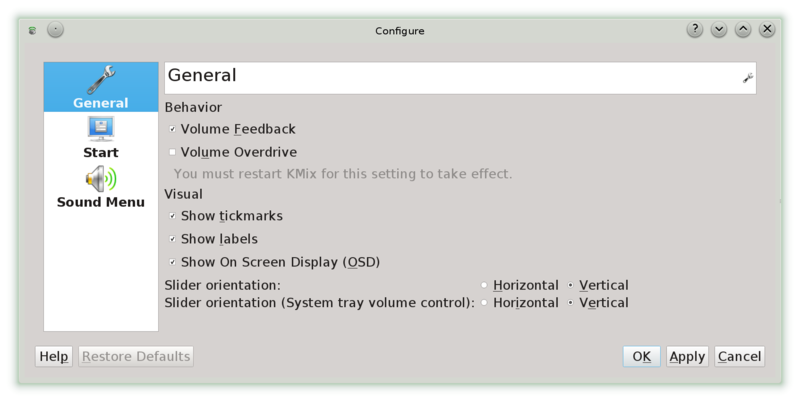 New KMix Configuration Dialog. The new Configuration dialog (right). The Sound Menu (left) reflects the selected controls, and also shows the new “Pause” icon, as Clementine is currently playing and can be paused. I took a small vacation from work to research relocation possibilities. While I was home I also spent time on completing the announced configuration dialog update and for updating the Sound Menu. KMix is more responsive, playback changes being reflected by KMix. Thanks to the communication infrastructure established done during the Multimedia Sprint 2012 in Randa it was easy to keep KMix consistent. Additionally I refactored the code for future additions like showing album picture. Media Player playback status is reflected by Sound Menu. Shows or . Configuration dialog overhaul; Options are grouped in tabs and the apply button is responsive. Volume Overdrive up to 150% now officially supported for PulseAudio due to popular request. Less CPU usage and latency for MPRIS2. The end of year 2013 is nearing. We will all see an exciting Year 2014 with Plasma 2 waiting in the wings. KDE Techbase recommends KConfigXT. But KMix is a fine example without. Developing C++ can actually be fun. In the next sections I will tell you a bit about how I develop KMix today, and why the newest toolchain gave me a productivity boost. As a peek ahead, this post is mainly about developing KDE applications with Eclipse. If you just came across this post via searching for Eclipse, C++ and cmake, then you might want to directly head to the practical example at the end of this post. If you get good tool support, C++ can still be a very good language. CMake helps a lot. For the source code editor it is more complicated: In the past I used every viable tool for KMix development, including misc versions of emacs, vi, aXe, kate, KDevelop and Eclipse CDT. All have their own strengths, but I could use none of them well for KMix development. Then recently I did a new shot at Eclipse CDT (Kepler based), and I am actually delighted. Navigation for header to source and back finally works and is very fast. Signals and Slots are parsed correctly and can be navigated. Call hierarchies work great most of the time. In some C++ specific constructs they do not work, but using “references” is a good alternative. Even the strangest #define and #include constructs work as expected. Warnings, Errors, TODO’s and so forth are shown by default very appropriately in the editor and the other Eclipse Views. Very comfortable if one is accustomed to Eclipse. KMix is a pretty small project, so mileage may vary for your project. Still I recommend to try “Eclipse Kepler CDT” if you have not done so recently. It brought back the fun in development for me. As a reference, kmix-git-trunk.obj is where I build kmix, kmix-git-trunk is the GIT checkout. After that you can import the project into Eclipse. Run the above command again whenever required and refresh the whole source tree in Eclipse (F5) after that. Personally I am using Eclipse only to edit the source code, to navigate and browse quickly through sources, headers and includes. Everything else I am doing from a console window, like building, running, debugging and version control (GIT). Thanks if you read until the end. If you have any input, experience or feedback, please leave a comment. I decided to devote some time to polishing KMix. I cannot reveal too much at this point, but here is a sneak preview of the new configuration dialog. This dialog got more and more crowded, so I decided on a tabbed design like many KDE applications use.Also it will be a central place for all the configuration, including Sound Menu and OSD. Feedback is welcome, but keep in mind that this is a very early preview snapshot. I will commit the work in one or two weeks, when the development line gets “unfrozen”.